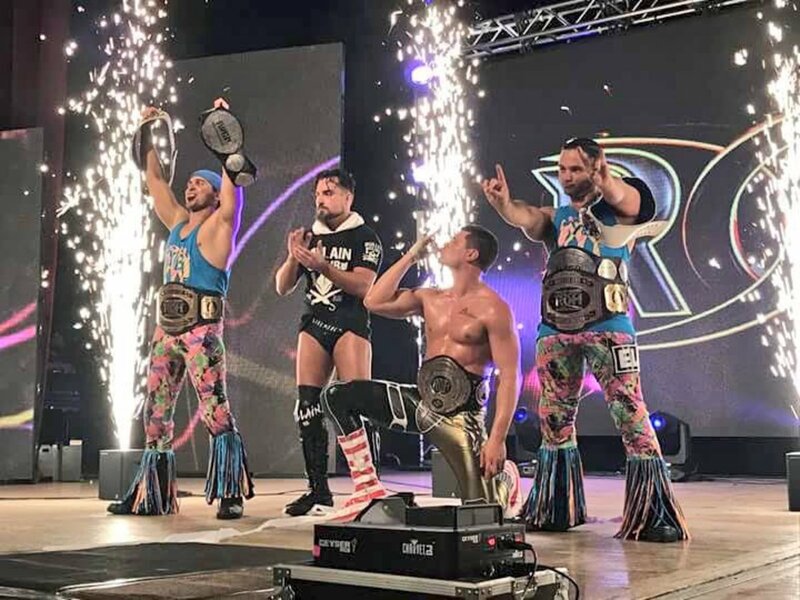 Cody Rhodes became the first member of the Rhodes family to win a significant World title in pro wrestling since Dusty Rhodes defeated Ric Flair in 1986, and ended up in the hospital after the show. After Rhodes beat Christopher Daniels at the Lowell Memorial Auditorium to capture the ROH title, to set up a rare champion vs. champion match next Saturday night in Long Beach, California, against Kazuchika Okada, he was taken to Lowell General Hospital Saints Campus and received six stitches in his upper lip. The injury took place early in the match. After Daniels shoved Rhodes, Daniels' head hit Rhodes right in the mouth which caused the lip to open up. The Rhodes family is believed to be the second father-son combination to ever win major U.S. World Heavyweight titles. Fritz Von Erich was briefly the AWA Champion and Kerry Von Erich was also briefly the NWA Champion. Outside of the U.S., Brazo de Plata and son Maximo have each held the CMLL World Heavyweight title, and Dos Caras was UWA Heavyweight Champion (when that was one of the major championships in the world and strongest promotions) and son Alberto Del Rio has held the AAA, CMLL, WWE World, and WWE titles. Rhodes vs. Okada looks to be the first champion vs. champion match of its type since Satoshi Kojima (Triple Crown Champion) and Hiroyoshi Tenzan (IWGP Champion) battled over those titles in 2005. In the U.S., the last time such a match happened was Triple H (WWF Champion) vs. Taz (ECW champion) on April 18th, 2000, in Philadelphia at the Spectrum.